Start investigating cover design options. Done! Just some initial investigations. There are so many options out there! Yikes! Figure out which project I’m going to work on while I wait for WoHF to come back from my beta reader. Done! I started a re-read on MOSAIC (tentative title). This was my very first project and it’s meant to be a trilogy and I bit off more than I could chew at the time. But the characters and story have always stayed with me. I want to give it another try. Visit the blogs of at least 10 other RSWers. Done! I’m so inspired by all the progress being made out there! Go, go, go!!! Spend one hour a day or less on internet. Ha. I’m dropping this goal in the future and admitting defeat. Of course, part of the problem is that when you are investigating potential editors and cover designers, you end up spending gobs and gobs of time online just for those activities. Finish my re-read of MOSAIC and start to figure out what overall changes I’ll need to make. Trevin and I reached the old man at the same time. We each took an arm and started hauling him back toward the safety of the building. Suddenly, as if the cyclone had eyes, the tip of the monster started edging back toward us. It had gone past Annie’s and had been on a predictable easterly path. 4. The biggest challenge I faced this week (ex. 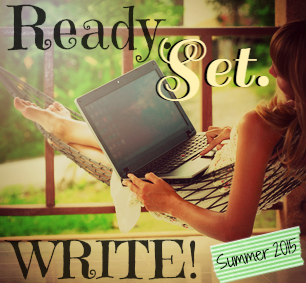 finding time to write): I was back at work this week after a nice two-week staycation. Settling back into a routine in which I have minimal time for writing/revising was the biggest challenge. 5. Something I love about my WiP: I’m so enjoying getting back into MOSAIC. In the first half of the story, my MC gets metaphorically punched in the gut over and over – finding out that people and things aren’t what she thought they were. I love to watch how tough she becomes! I can see why you’d be spending a lot of time on the internet! Good luck with finding a cover designer and editor! And my girl mc sounds a lot like your mc. I am looking forward to writing my girl’s journey too! Good luck with all your goals this week! You could maybe adjust your internet goal toward “mindless surfing.” Wandering the internet is the new channel surfing; you’re not really fully engaged, just skimming around. What helped me twice this week was to meet with a friend in a public place to write and then I don’t connect my computer to wifi. If I MUST check something online, I have to get my phone out of my purse. The act of putting it away in the purse also helps. Or putting it facedown or slightly out of reach. I can’t even imagine all of the work that goes into researching editors and cover designers. Good luck with all of that, Kitty! Tornadoes freak me right out, so your excerpt was pretty great for creating that tension, especially with that last line. 🙂 Have a great week, and good luck with your goals! I have an old MS and its sequel that I want to revisit one day. Like yours, it has never left me. Good luck finding the right cover designer and editor. That would be a lot of work!